Sixty of the world’s leading experts in the field of digital hydraulics from academia and industry came together for this year’s “Digital Fluid Power” workshop at the Johannes Kepler University (JKU) in Linz, Austria. There were visitors from Brazil, Bulgaria, Denmark, Germany, Finland, France, Japan, Russia, Sweden, the UK and the USA, making Linz the world capital of digital hydraulics on 26 to 27 February. “Digital Fluid Power (DFP) is held every year – alternately in Tampere, Finland and in Linz, Austria,” explained Prof. Rudolf Scheidl, Chief Executive of the Institute of Machine Design and Hydraulic Drives at JKU. This series of workshop is organised by this institution, the Linz Center of Mechatronics, Tampere University of Technology and Bosch Rexroth – the world’s largest hydraulic group. The aim was not only to give reports on recent developments in this young branch of hydraulics, but also to accelerate their applications in industry. The program consisted of two days of international lectures covering different themes in the world of digital hydraulics, laboratory tours and discussions on current trends. 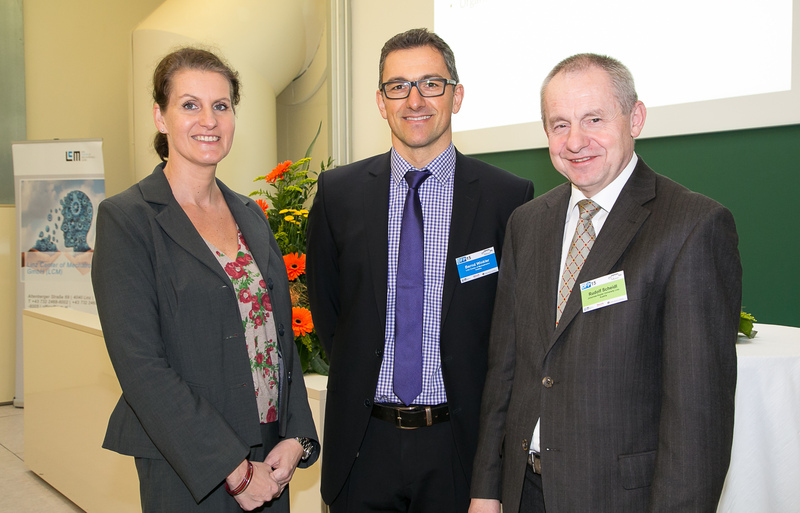 The focus of this year’s meeting at the JKU Linz was the positive effect of digital hydraulic solutions on Industry 4.0. The practical part of the event involved the presentation of new solutions on test rigs in the laboratory. Some were almost prototypes, others had already reached a technical maturity. The unusually intense atmosphere of the hydraulic laboratory was the setting for some intense discussions between the different groups present – researchers from universities and research companies, hydraulic businesses and users. “It was probably in this part of the workshop that the most important information started to flow. The stimulating atmosphere meant the conversations were really intense and of exceptional quality. The insights gained here, for example with regard to the needs of our partners and clients, allow us to adjust our research and services. As a research company without base funding, this is especially important to us,” explained DI Dr. Bernd Winkler and DI Dr. Markus Dibold of the Linz Center of Mechatronics GmbH (LCM). “The networking of research and practice across the world is more important than ever before, especially in hydraulics,” says DI Dr. Bernd Winkler; he is Area Manager Drives at LCM. “This series of workshops has been a very effective way of enabling us to raise our international reputation; this is important for the rapid implementation of revolutionary hydraulic solutions and their introduction to a range of applications. For example, this was very much the case with the FSVi, the world’s fastest digital hydraulic valve, or micro-positioning for high-precision machine tools. This also brings significant economic added value to Upper Austria as an industrial location,” explained Winkler.